Do u want the Easton Ghost??? How many games do u usually play in a day? Have u ever ended in a tied game? When do u like to play? What exactly happened to Cat Ostermun so that she can't pitch? Are u sad that Jennie vink, finch is retiring this? u will find timely news, great softball articles, softball tips and drills , cool fastpitch softball links,and athletic scholarships. a poll was toegevoegd: Do u want the Easton Ghost??? a poll was toegevoegd: Would u rather be a pitcher of a catcher? a comment was made to the pop quiz question: Where is the Women's College World Series held annually? 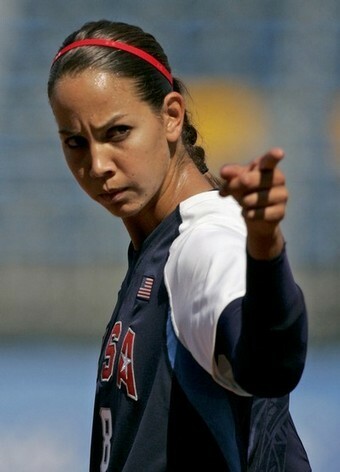 What jersey number does Cat Osterman wear? Who all played in a tournament this weekend?? ?